On July 2, 1823, Bahian fighters drove the Portuguese out of Brazil and definitively secured Brazil’s independence. Outnumbered by Portuguese soldiers, Bahians of mostly African and Native descent came together and still managed to fight towards victory. 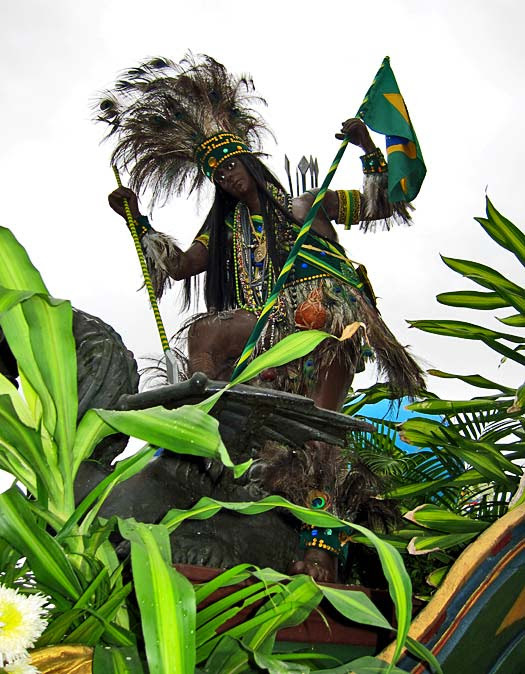 Today, Bahians celebrate in the streets with music and parade the image of the Caboclo, a symbol of the Brazilian people and representing the indigenous roots within the racial mix of Brazilians. Bahians also commemorate the bravery of independence heroes and heroines such as Maria Quitéria, who disguised herself as a man and valiantly fought as one of the best on the battlefield; and Maria Felipa de Oliveira, an Afro-Bahian woman who led a squadron of 40 armed women on the island of Itaparica and set fire to fleets of Portuguese ships.